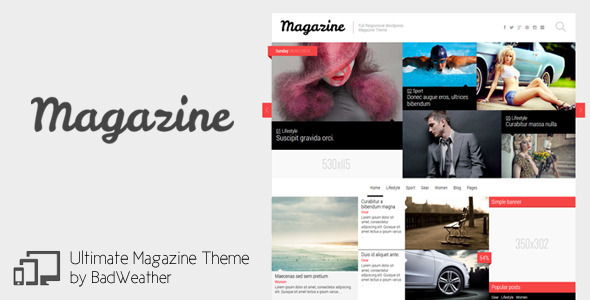 Magazine theme is excellent for news, newspaper, magazine, blog and review sites. Integrated custom review system. Using the theme modules you can create your own custom homepage in 1 minute. With Magazine switch between different types of colors, backgrounds, blog styles and more. Have fun with the unique box slider, displaying the latest posts in the theme. “Sticky” Navigation Bar – Your “Sticky” navigation bar will always be visible to your visitors for easy navigation no matter where you are on the site.